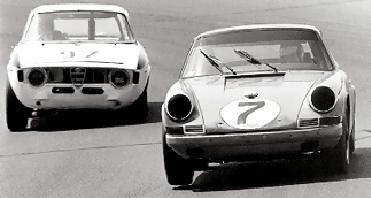 Tony's Porsche leads an Alfa Romeo at Riverside. When a rear-wheel drive car can hold its inboard front tire off the pavement, it's cornering at its maximum! 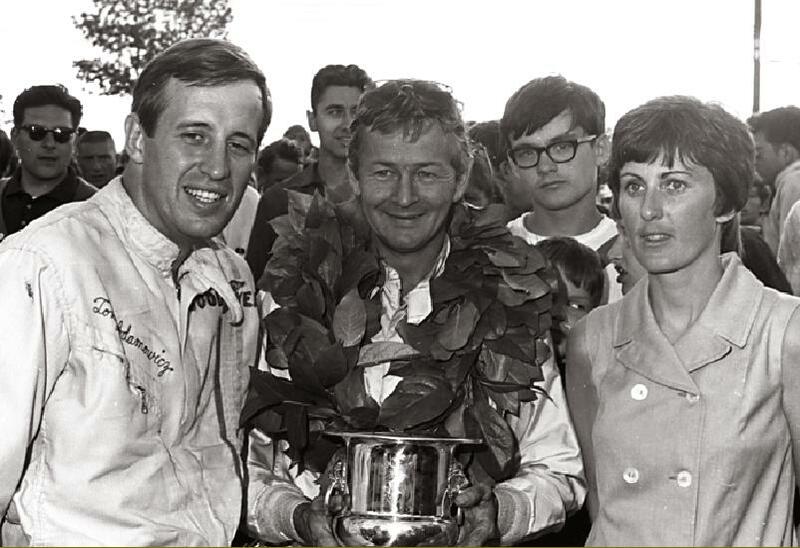 I was leading at Riverside in 1968, but we had mechanical problems and I finished back in the field. Tony and Jerry Oliver's Camaro round Turn 7 at Riverside. 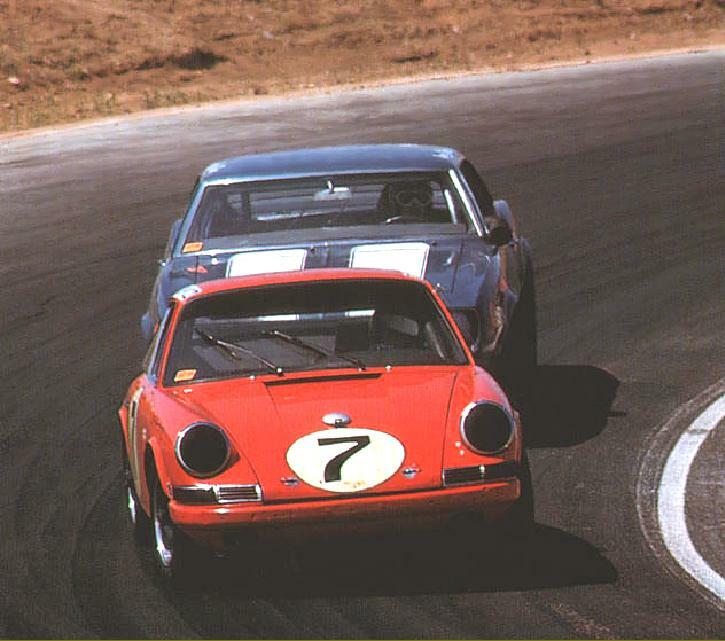 Last race of 68 Trans Am at Riverside sewed up the Championship. Note the upswept exhaust pipes. With Jerry Titus at Watkins Glenn, New York. 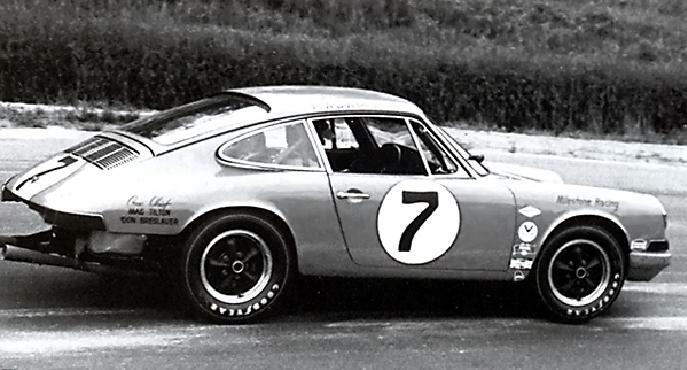 I took the under 2-liter win in the Porsche and Jerry the over 2-liter. The power end of #7. We were the only ones who ran Solex Carbs instead of Webers. 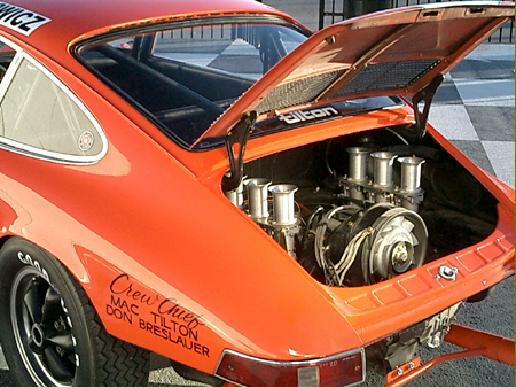 Mac Tilton and I agreed the Solex combination and intake manifold proved to be the best power for the job ahead.